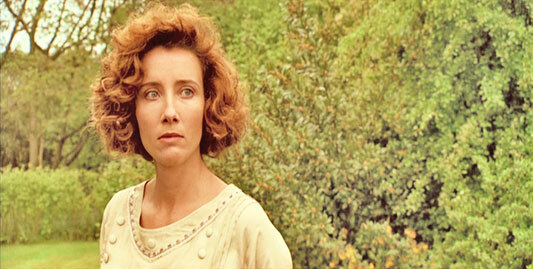 Emma Thompson in HOWARDS END. 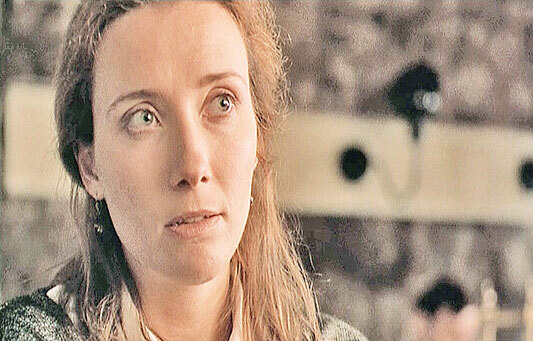 Thompson won her Best Actress Oscar starring opposite Anthony Hopkins... the two of them play a couple whose love affair blossoms against the backdrop of upheaval in the British class system during the early 20th century. 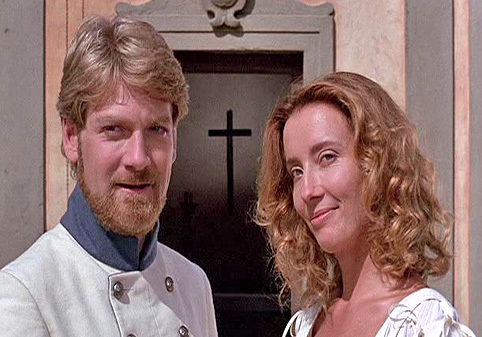 Emma Thompson is a British actress who was married to frequent co-star and director Kenneth Branagh. Emma is now married to Greg Wise, whom she met on the set of SENSE AND SENSIBILITY. 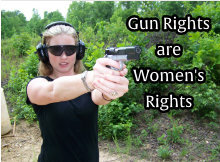 Thompson has a daughter with Greg. Thompson was born into a family of actors, to Phillida Law and Eric Thompson. 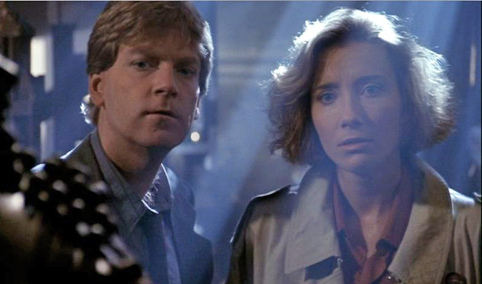 She also has a sister who is an actress, Sophie Thompson. 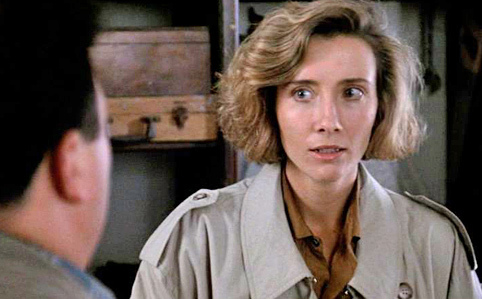 Emma Thompson attended Cambridge University. Thompson has played to critical acclaim in many costume dramas. 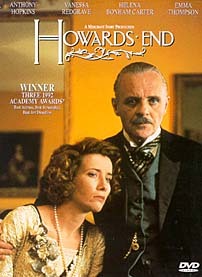 Her first notable period role was in HOWARD'S END, where she plays one of a pair of sisters who fall on hard times. Their lives become entangled with the lives of others as they attempt to befriend people of different social classes, resulting in an upscale marriage for one sister and unmarried motherhood for the other. 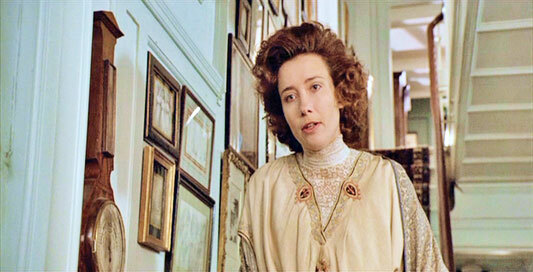 In the 1993 James Ivory film, THE REMAINS OF THE DAY, Emma Thompson plays a housekeeper to an upper crust family, as part of a household of servants whose personal sacrifices in service to a spoiled family, are revealed through the course of the movie, based on the Japanese novel by Kazuro Ishiguro. 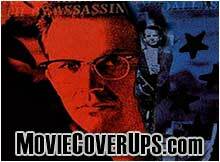 The movie was nominated for 8 Oscars, including Thompson for Best Actress. 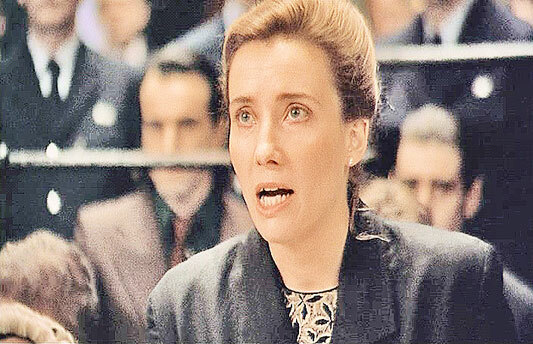 In the 1993 movie, IN THE NAME OF THE FATHER, Emma Thompson played an Irish lawyer attempting to assert the innocence of a man convicted of an IRA bombing 15 years earlier. 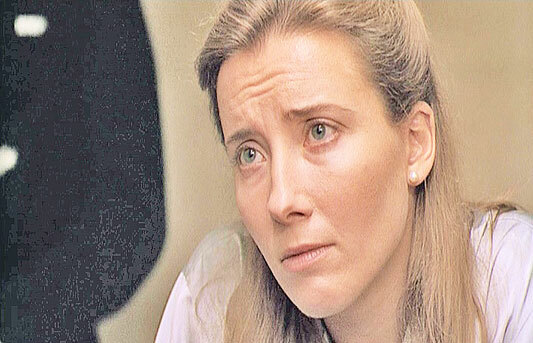 She received a Best Supporting Actress nomination for her portrayal. 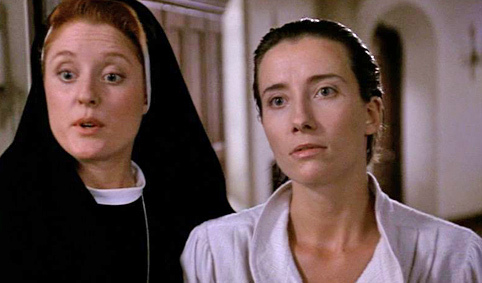 In 1995, Emma Thompson played the down to earth sister to Kate Winslet's romantic character, in the film adaptation of the Jane Austen novel SENSE AND SENSIBILITY. 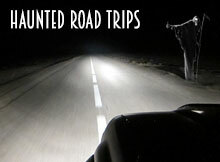 The story outlines the journey of two girls in unfortunate circumstances and their route to married bliss. 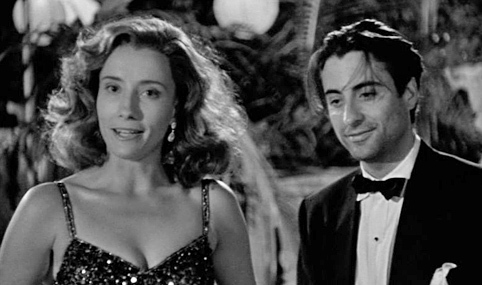 Thompson won two Oscars for her work on the film, one for Best Actress and one for Best Adapted Screenplay. In the 2006 movie, STRANGER THAN FICTION, Emma Thompson plays a writer whose literary creation takes on a life of its own. 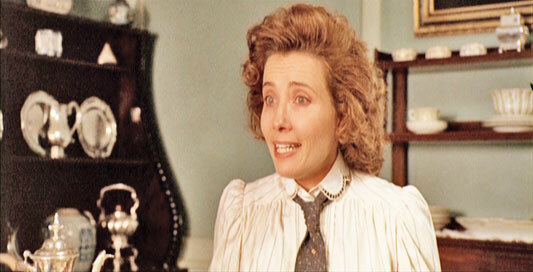 Emma Thompson also played the title role in NANNY MCPHEE and NANNY MCPHEE RETURN. 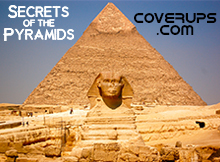 She also appeared in the wildly popular, HARRY POTTER AND THE PRISONER OF AZKABAN, and HARRY POTTER AND THE DEATHLY HALLOW, Part 2. 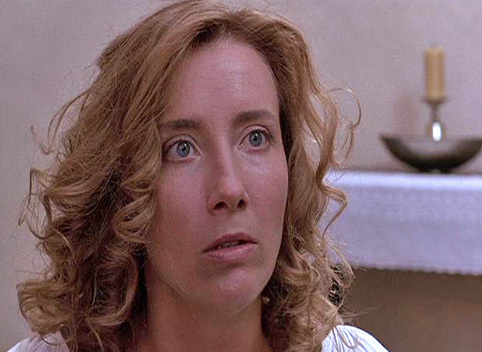 Emma Thompson in DEAD AGAIN. 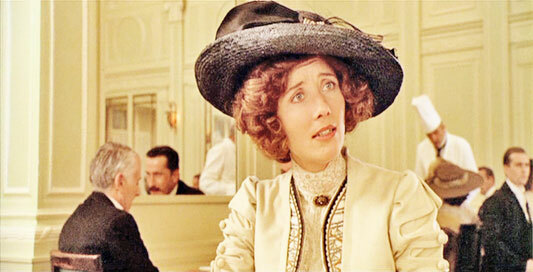 Emma Thompson in HOWARDS END (1992). 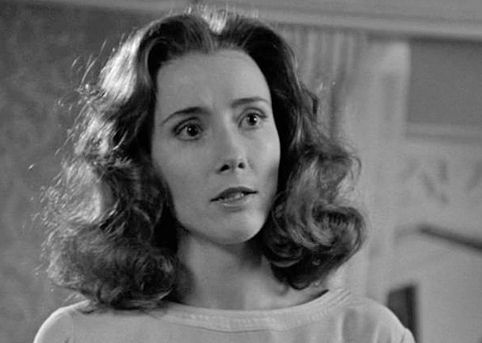 Emma Thompson in IN THE NAME OF THE FATHER (1993). 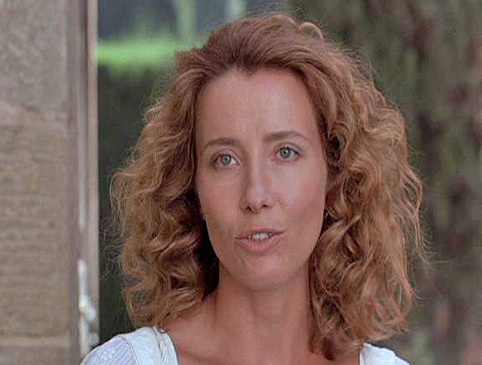 Emma Thompson in MUCH ADO ABOUT NOTHING.